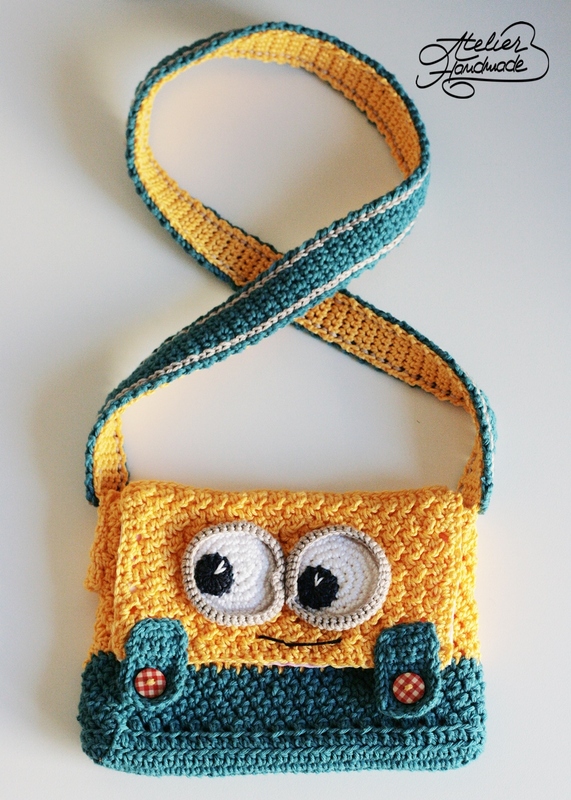 Minion Purse Crochet Pattern is now Online! 7 Comments on Minion Purse Crochet Pattern is now Online! 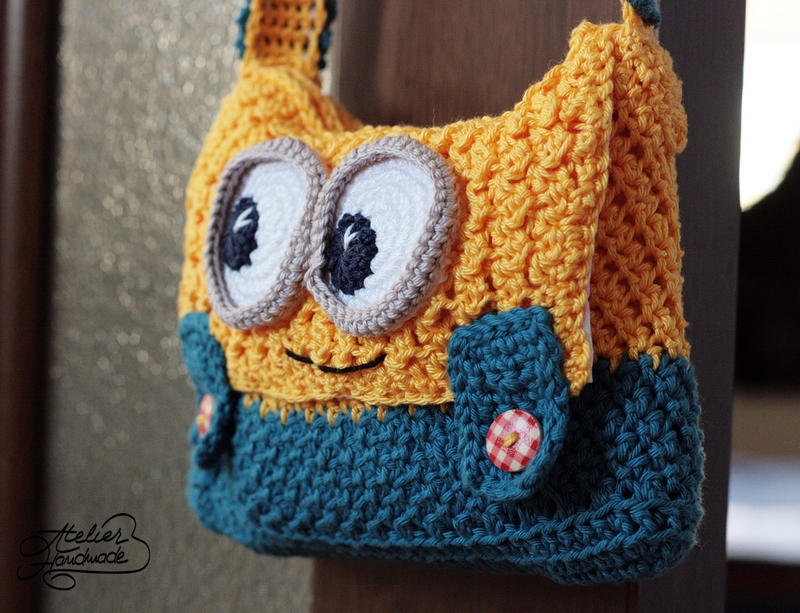 Hooray, it took a while but now the minion purse crochet pattern is finished, tested and retested and finally online! In the last two months have been working hard on several new crazy patterns – some to feature for free here. I was looking forward in improving the first minion bag pattern, so I finally took the time to add something that I felt was missing from the first purse. The pattern is for beginners, is written in American crochet terminology and it has a German version as well. Because I like variety, I added 2 ways to crochet this purse, both super easy and fun to make. Grab your yarn – cotton works best – and hook and make a fun bag for your minion enthusiast. The Minion Purse Pattern is live on Etsy! Cat e de draguta si nostima!!! Do you have any Jerry the Minion crocheted patterns? The patterns for amigurumi minions are just in my head (and notebook). But I recommend to use the pattern from All About Ami, she wrote a complete and very good pattern for a minion. You can adapt it and crochet your very own Jerry the Minion. The pattern for Phil is work in progress, hopefully I will be able to finish it by the end of this month. Buna ziua. Mai este disponibila aceasta gentuta? Daca da, cat ar costa o comanda? Va multumesc mult anticipat.